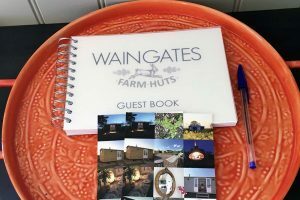 Waingates Farm Huts News and Reviews, Read what our guests think of our Huts! Matthew and Emma, you have got this place absolutely spot on! After a couple of absolutely crazy weeks, this is EXACTLY what we needed! The whole experience has been idyllic. We arrived in the pouring rain and howling wind and the hut was the perfect place to cosy up in front of the wood burner with mugs of mulled wine and "The Holiday" DVD. We woke to a severe stillness and beautiful sunrise. Fab day out at Fountains Abbey and Studley Royal Deer Park followed by an evening in the (HOT!!) Tub in the pouring rain - Splendid! We cannot wait to return in the Summer to make use of the BBQ and pizza oven. The festive trimming up was the icing on the cake! Thank you!! We came for my wifes' Birthday, we wanted a unique special experience and this was it! The hut itself was perfect, so much character and charm making it really unforgettable. The woodburning stove is a great touch and great for a cosy winters evening. And of course, the hot tub... great fun getting the fire going, and then having a long, relaxing soak under the stars! Just Magic. Thanks to Matthew, a great host. We will be back! We chose this quaint location for our "mini moon" and it did not disappoint. The Hut has been very cosy and has provided us with the perfect place to relax after a busy few days. Your hospitality has been brilliant and you provide guests with everything you promise that makes staying here feel like home. We will definitely recommend staying to others and would love to come back ourselves. Thanks for a great stay. WOW!! This fantastic little hut totally exceeded our expectations. When stumbling across Waingates Farm Huts on the internet I just knew we had to come here. Everything is super stylish and cosy! Nothing will compare to this gorgeous little retreat. Your hospitality has been amazing and so helpful. we really couldn't have asked for anymore. Thank you for a wonderful stay. We had a perfect weekend that ended with a proposal in the hot tub under the stars! We had so much fun building fires and relaxing - it was exactly what we needed. This place is truly magical. Thank you so much for everything! What more could you ask for with a cosy log fire, beautiful views and uniquely funky hot tub on your doorstep? I've never felt more at home - away from home. A perfect stay during those cold Autumn nights with memories to take away for life! we loved every moment! Congratulations on absolutely nailing it! We booked Yain for our 5th Wedding Anniversary - The year of "WOOD". It couldn't have been more fitting for our celebrations - A wooden Shepherds Hut, with wood fired bath and surrounding Wood! We arrived in a storm and it felt the perfect place to lock ourselves away - the next day, the skies broke and we enjoyed a perfect evening with blue skies and clear starry night, we don't want to leave! We've stayed in a hut before but this one exceeded our expectations. Absolutely spotless inside, equipped with everything you could possibly need. Loved the robes, the soft towels and bed linen. The fresh flowers and chocolates when we arrived were a lovely touch. We wanted a weekend break for peace and quiet and relaxation and we certainly got that. The hot tub was perfect and we enjoyed a bottle of bubbles in the pouring rain whilst in it watching the red kites above us. These huts are perfect for a romantic break with no distractions. We've already been recommending to our friends! We literally couldn't fault a single thing. Thank you so much for giving us a perfect weekend of memories, I'm sure we will be back. A wonderful way to spend our 10th Wedding Anniversary, we have loved staying in the beautiful hut and found it much more spacious than we expected, very comfortable, clean and with everything we needed provided. We enjoyed lovely meals at the 'Hideaway Kitchen' and 'The Malt Shovel'. Also 'The Roecliffe Ramble' is a lovely walk. The hot tub was fantastic to use also - we hope to visit again soon! I knew from looking on the website that the hut was going to be beautiful, but it really didn't show just how cosy and well thought out this little gem is! A lovely friendly welcome, fantastic attention to detail, idyllic location, gorgeous decor, lots of little extra touches...need I go on?! Will definitely recommend and hopefully return in the future. Many thanks for a perfect few days away. Wow, the ultimate camping / glamping experience! Attention to detail is really impressive. Loved the experience of relaxing in the Dutch Hot Tub with the sweet scent of wood smoke from the roaring fire pit whilst staring up at the stars above. Enjoyed the local walks, as well as watching the Red Kites soar above the wood across the field. On the last evening we had an amazing encounter with four badgers outside their sett in the wood as we walked back from The Crown Inn. Thank you for three lovely days that we will remember for a long time to come and for making us feel most welcome. Where to start, we came with high expectations and have not been disappointed. The Hut is amazing, love the little touches, chocolates, flowers etc.. What an amazing place to decompress, soak up the surrounding and celebrate our 30th Wedding Anniversary. This place is so good for your mental health to wind down and appreciate life. Thank you. I had no idea I was coming here. The two nights that we have spent here was booked for my Birthday by my partner. So when we arrived, I actually cried. What a magical place this is. From the setting, the welcome, the amenities, the attention to detail - to the company. I have been truly spoiled here and I shall go home with fond memories of bubbles in the hot tub, stargazing in a cloudless night sky, Coldplay, watching the kites and buzzards, fab food and glorious fire pit. We have raved about this place to family and friends from the moment we arrived and I simply can't wait to return. Thank you so much. We've had a wonderful weekend here at Yain celebrating our 2nd Wedding Anniversary without our kids! We have been super impressed with immaculate and thoughtfully designed the hut is, cosy and luxurious. The hot tub is amazing and so relaxing! Despite the changeable weather we ate outside and enjoyed the peace and quiet surrounded by a sea of white flowers. Perfect! 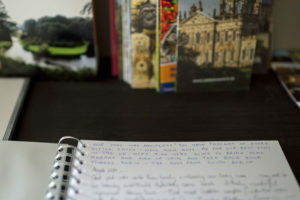 A brilliant two night stay out in the Yorkshire Countryside. We'd planned to visit local restaurants for dinner, but there was no need at all as with an easy to use BBQ, fire pit and Hot Tub we could enjoy our own little Private Paradise! A truly wonderful place, perfect for a weekend get away. 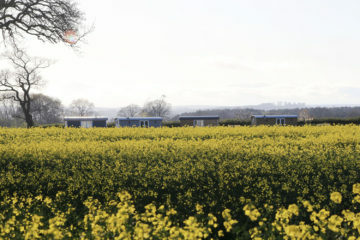 Idyllic setting, the hut is really well thought out in terms of both layout and all the home comforts you can think of. Wood Fired hot tub a real novelty. Peaceful, very quiet and the added benefit of high 20's temperature! We will be recommending to everybody! We arrived on Friday a young woman celebrating a new job and a man in denial he's just turned 40, by Sunday nothing had changed!.... except a perfect weekend of al-fresco dining and bathing, late night chatting, drinking and relaxing. Had a great time exploring the area and realising we most definitely will be back! Glamping at it's best! We have had a fabulous two nights here for our 8th Wedding Anniversary. Everything was perfect and the amazing weather just topped off the weekend. Top quality Shepherds Hut with great attention to detail. Well this is a step up from camping! I'm never going back to a tent now, you have thoroughly spoilt us! 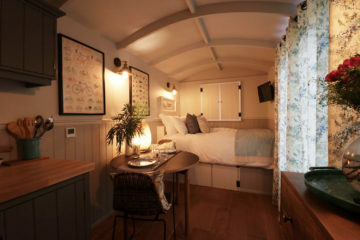 The Shepherds' Hut is so cosy and has the added touches of luxury which are well received We will certainly be back. Thank you for the perfect stay! Came away as a Birthday treat for my boyfriend and we couldn't have asked for a better location or host. Matthew was fantastic with helping me make it extra special for our arrival, setting he hut up with a Birthday banner and balloons. The hut itself has everything you could need and more. The surroundings are beautiful and peaceful and the hot tub, BBQ and fire pit just added to the whole experience. We will definitely be back again to explore the other huts! We booked this as a little get away to the countryside and it out did all of our expectations, we loved it! The place is beautiful and facilities are fab. Spent most of the time in the hot tub regardless of rain. Spent two days laughing, singing, dancing, eating and drinking. Thank you very much! We will be back! We've had a lovely couple of nights in Eddero. Everything has been perfect. 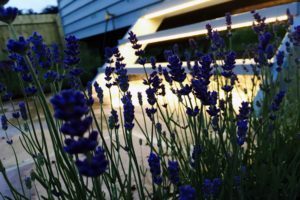 The Hut is lovely and comfortable; the hot tub and fire pit are relaxing and mesmerising in the evening and the surroundings are beautiful and peaceful. The weather has not disappointed either and has given us the chance to explore the local area and enjoy al fresco eating and drinking. It's been everything I hoped for and I have a very happy husband - pleased with his surprise Birthday present! We loved our stay in Eddero, the hut is set in a beautiful location, it is furnished to a high standard and provided everything we could have wished for! I booked the weekend as a surprise for my boyfriends Birthday - The perfect place to escape to, so relaxing and peaceful - we'll be back - Thank you to Emma and Matthew for creating such a perfect place. We have had an absolutely fantastic time here, in this beautiful hut! Such a relaxing environment and atmosphere... Total Relaxation. We parked our car on Friday and it hasn't moved since. A lovely walk into Boroughbridge, would definitely recommend. Thank you for a fabulous stay. We have had glorious weather. A hilarious couple of hours trying to make pizza (my advice is to bring extra dough in case it goes wrong) that tasted pretty good even if it looked terrible! And topped it all off with a dip in the hot tub. We loved the peace and quiet and even spotted a deer. Matthew and Emma, Thank you once again for another amazing few days away. We have fallen in love with this place. It's beauty and privacy are one of a kind and we will most certainly be back for a third visit. Everything was perfect and that is testament to all of your hard work and little added touches. Thank you so much for the loveliest weekend, it was just what the doctor ordered! Accommodation is beautiful, with such attention to detail. We got lucky with wonderful weather, enjoyed lovely walks, saw hares, deers and kites. Sat in the hot tub looking at the stars. Just Perfect! We're heading home to our 3 young children feeling relaxed and batteries fully charged! Will most definitely be back. Thank you again! What a wonderful place to spend New Year ! The Shepherds' Hut was perfect and had everything we could possibly have wanted for a luxurious stay. The hot tub was even better than we imagined. It took a while to get hot, but once it did it was steaming, it was glorious. We had clear skies and a bright moon - what a way to spend New Years Eve. You've helped create a lovely happy memory for us. Thank you so much and Happy New Year! We have had an absolutely amazing weekend in this beautiful place. It is so peaceful and has given us some much needed 'RnR'! Every single detail has been given the utmost thought - everything is perfect! Thank you so much! Thank you for a lovely stay, we have been to a few places with Shepherds' Huts but this is our favourite! Beautiful views, loved the facilities and perfect location. The hot tub and pizza oven were our highlights. We had a drink at the Crown Inn and it is a lovely pub with great service. We also went to Brigham Rocks and Ripon and would recommend Lots of nice walks locally too! Thanks again for a lovely peaceful stay! Simply Amazing! We have had the most relaxing weekend here celebrating our 10th Anniversary and everything was perfect! You have created an amazing place that is cosy, yet spacious, classic yet luxurious and calm yet exciting. Matthew was especially accommodating and welcoming on our arrival. We also had an incredible evening making tasty pizzas from our dough and sitting under the stars in the hot tub, listening to nothing but wildlife. We even saw our first shooting star! (3 of them!!!) Will most definitely be back and excited to see how this place develops. Good Luck and Thank you! Matthew and Emma, We had an amazing couple of days here- the hut is perfect and every detail that has been thought through is noticed and makes a huge difference. The hot tub and beautiful surroundings are just lovely. Matthew couldn't do anymore for us - much appreciated. We will be back for sure. Whilst I write this I am sat in this most cosy bed with the doors open enjoying the breeze and the sun, it's glorious. We've toasted marshmallows on our fire pit, cooked our supper in the incredible pizza oven, eaten al fresco and slept like babies. I'm so pleased my sister brought me here as a treat. We shall never forget it and we will be back, Thank you! We really enjoyed staying here, the hut is very unique and all the finishing touches are beautiful. Absolutely loved the hot tub and pizza oven! Perfect way to celebrate our first Wedding Anniversary! We will be recommending your Shepherds' Huts to our friends and plan to come back again! Emma & Matthew - Yain was the perfect place for our mini moon! Thank you for letting us check in so early and for the lovely 'Just Married' Touches! We really enjoyed the chocolates and fresh flowers, these little touches make the stay so much more special. We loved using the fire pit, hot tub and BBQ and we thought the decor of the hut was beautiful - we had everything we needed. We tried out two of your recommendations and had a lovely meal at The Crown Inn pub and Lauren had the most amazing massage by Leanne - highly recommend to others. Thank you for the warm welcome followed by complete privacy, hope to come back again! Thank you so much for thinking of everything we would need for a relaxing and calm stay! Such a lovely change from the hustle of London. So wonderful to hear silence and smell fresh air- and the fire pit and pizza oven were amazing. Thank you so much for a wonderful couple of days. The hut is absolutely beautiful and feels luxurious. The little finishing touches and detail make it more amazing. We really enjoyed looking at the stars in the hot tub of an evening. We will definitely be back and will recommend to everyone!